The firm embraces the new-model concept of providing top level representation at competitive pricing which only smaller firms, without excessive overhead and legacy costs, can deliver. Our attorneys have an average of over 18 years of experience, with eight lawyers having practiced more than 25 years. We pride ourselves on the fact that our attorneys are hands-on practitioners who work directly with clients, assisted by a dedicated support staff that is an important component to client success. This powerful combination gives our clients the peace of mind that comes with knowing their attorneys can be trusted to capably and efficiently handle their legal matters, whether routine or complex. Our practice includes the representation of small, medium and large corporations, as well as individuals, in matters that range from sophisticated business litigation to the negotiation of commercial contracts. Our clients' success and ours is driven by our commitment to use every available resource to ensure their interests are fully protected, and that all matters are resolved in the most advantageous way possible. Now in our 28th year, we continue to provide superior legal representation to clients in the U.S. and across the globe. For more information about how the SWT legal team can help you, please call (404) 688-6800 or email us at info@swtlaw.com. Since its formation the firm has been dedicated to full service representation of its corporate clients. For start-up corporations, the firm provides services in the areas of corporate formation and governance, including the drafting of governance documents, shareholder agreements, and third-party contracts. The firm acts as the custodian of corporate records for many clients. Members of the firm have experience in drafting and providing advice regarding all types of corporate transactions. The firm is staffed with a diverse group of lawyers who can service the full range of business needs, from formation and operations to mergers and acquisitions. David L. Turner is a veteran litigator and legal advisor with 25 years of experience practicing law in Atlanta, Georgia. David's clientele includes corporate and business concerns in need of counsel to handle significant litigation, or those seeking advice in order to resolve pre-suit disputes that have arisen. To prevent disputes from occurring, Mr. Turner advises clients on how to protect their legal interests and position themselves favorably during the course of negotiations and transactions. David is recognized for prosecuting professional malpractice claims, including cases against corporate officials, physicians and attorneys. 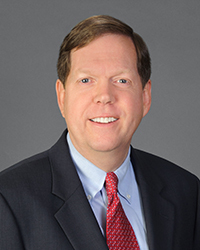 In recent years, he has worked extensively with the Federal Deposit Insurance Corporation in prosecuting professional liability claims arising out of the failure of community banks in Georgia. An experienced and tenacious personal injury litigator, David has represented clients in a broad range of serious claims including medical malpractice, automobile collisions, premises liability and wrongful death. With a strong background in insurance law, David has the necessary skills and credibility to evaluate injury claims and to apply pressure in order to maximize recoveries from insurance companies that may be reluctant or unwilling to pay. David leads a firm practice group that caters to the legal needs of franchise motor vehicle dealers throughout Georgia. This specialty area of practice extends beyond litigation to legal needs encountered by auto dealers on a recurring basis. Should disputes arise with motor vehicle franchisors, David is knowledgeable about Georgia's motor vehicle franchise law and how it can be applied to protect the interests of Georgia's dealer community. 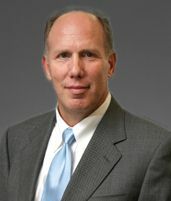 Scott began his practice in 1979 representing management in employment and labor disputes. In 1981, he joined a general practice firm, handling labor and employment issues for the firm's clients, as well as a variety of corporate and commercial litigation matters. 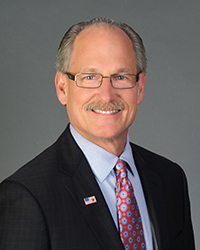 In 1986, he formed Schulten and Associates, representing clients throughout the United States and Europe, both in litigation and transaction work. The firm became Schulten & Ward in 1990, and in 1996, became known as Schulten Ward & Turner. Since then, it has gradually grown in size, and in the areas of practice which it handles for its clients. Scott has written numerous articles and presented lectures and seminars on a variety of legal issues, including employment law, enforcement of judgments, federal practice and procedure, mergers and acquisitions and real estate development. Since 2009, Scott has been a regular speaker at the annual American Conference Institute National Forum on Reducing Legal Costs. 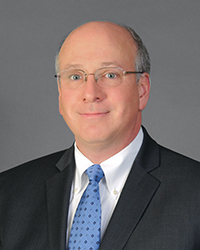 He has served as outside general counsel for several national companies, overseeing litigation in all state and federal courts, as well as handling general commercial matters. His practice is now focused on commercial transactions: real estate development, secured lending, tax-credit housing, documentation of purchase and sale transactions, and structuring commercial entities. Since 2000, well over $5 billion dollars in commercial real estate transactions have been completed through the firm's representation. 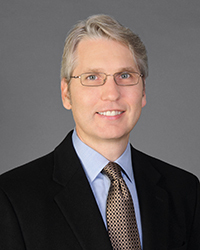 Scott currently co-chairs the Atlanta Bar Association Managing Partner Committee, and serves as a member of the board of Legal Netlink Alliance, an international network of independent law firms. After graduating from Emory University School of Law, Kevin established a reputation based on high profile courtroom experience. During his first three years of practice, he successfully defended a Georgia-based national firm against the Trump organization in Donald J. Trump v. Positive Concepts, Ltd. He then represented Paulette Holyfield in Evander Holyfield's first divorce. These significant early cases established the direction of Kevin's unique practice, complex and high-profile civil litigation. As a partner in the law firm of Schulten Ward & Turner, LLP, Eric's practice includes the representation of owners, developers, landlords and tenants in the acquisition, disposition, development, financing and leasing of commercial real estate. He has a broad range of experience in multi-family, retail, office and mixed-use property types and has particular expertise in drafting and negotiating purchase and sale agreements, ground leases, loan agreements, development agreements, leases, construction, and easement agreements. His practice also includes the representation of clients in transactions financed with low-income housing tax credits, historic tax credits, tax-exempt bonds and other types of subsidized and conventional financing. He also provides representation in matters involving the structure and formation of flow-through entities used for real estate acquisition, development, management, and construction. Eric frequently handles the negotiation of partnership and limited liability operating agreements, as well as planning and restructuring in connection with real estate and other commercial transactions. Eric also has experience in mergers and acquisitions, and assists clients to structure and effectuate joint venture, strategic alliance and other complex commercial relationships. 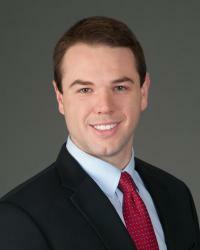 Before joining Schulten Ward & Turner LLP, Eric practiced at a large Atlanta-based law firm. Susan offers clients a powerful combination of legal expertise. Virtually every business and individual is affected by insurance, employment, and labor laws. Susan's broad knowledge of all aspects of these pervasive issues brings her a diverse client base that includes insurance carriers and nationwide retailers, as well as individual plaintiffs. Her insurance law practice includes matters of commercial liability, automobile liability, construction, employment practices, bad faith and other general insurance issues. Susan routinely advises insurance companies on coverage matters and has handled numerous declaratory judgment actions involving coverage disputes. She defends the insured in situations from automobile accidents to death cases. Susan offers her insurance law knowledge to the plaintiff, handling a full range of personal injury cases, most of which are referrals from other lawyers. Her employment and labor law work extends beyond litigation. Susan counsels clients on development of employee handbooks, hiring/firing, and discipline issues. Working with nationwide retailers, she has developed a unique program that helps deal with employee theft and recovery of stolen merchandise. Susan's skills in insurance, employment and labor law address both the day-to-day operation of a business and decision-making in the complex arena of employment regulation. 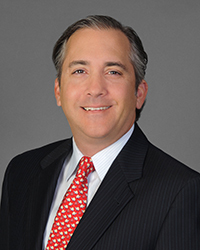 Prior to joining the firm, Jon was a partner at a large international law firm with offices in Atlanta, Georgia, and specialized in commercial lending and secured transactions, commercial real estate acquisitions, governmental regulations, land use and zoning, tax appeals and 1031 exchanges. These continue to be his areas of expertise and practice orientation. Bill's experience includes corporate, partnership and international taxation, focusing on representing companies in mergers and acquisitions, spinoffs and joint ventures. Bill has structured private equity and real estate funds. Bill has also worked on structuring renewable energy projects across the United States. Industries that he has represented include airlines, telecommunications, food manufacturers, banking and financial services, health care, technology and venture capital. Bill has also successfully represented clients before the Internal Revenue Service and state Departments of Revenue on numerous occasions. Martha began her bankruptcy practice in conjunction with representing farmers and agri-businesses in a national class action that enjoined the U.S. Department of Agriculture from foreclosing on borrowers without fulfilling certain statutory requirements. The injunction was in place for several years. 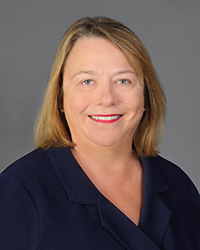 Since 1992, Martha has been a member of the private Trustee Panel for the United States Bankruptcy Court, Atlanta Division, administering thousands of business and individual Chapters 7 and 11 bankruptcy cases. Her practice has included representing debtors, secured and unsecured creditors, debtors-in-possession and trustees in bankruptcy cases. 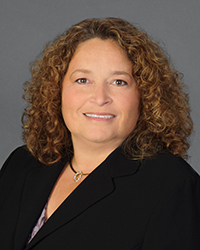 Martha has practiced in district and bankruptcy courts throughout the United States. She is admitted to practice before the Northern, Southern and Middle Districts of Georgia, the Fifth and Eleventh Circuit Court of Appeals and the U.S. Supreme Court. She is also a member of the Atlanta Bar Association, the American Bankruptcy Institute, the International Women's Insolvency and Structuring Confederation, the National Association of Bankruptcy Trustees and various other professional organizations. Outside of the office, she enjoys spending time with her family, traveling and photography. Andrea began her practice at a boutique firm where she spent two years handling most aspects of complex environmental litigation, including expert witness depositions and preparing for federal jury trials. She joined Schulten Ward & Turner in November 2007. After joining SWT, Andrea transitioned to a broader litigation practice with her focus primarily on business and commercial litigation. She has handled a wide assortment of business litigation matters, such as suits on notes and guarantees, confirmation actions, landlord-tenant disputes, contract disputes, and loan participation agreements. Andrea represents corporations, individuals and government entities, and she is an approved FDIC attorney. Andrea also continues to handle environmental matters and stays abreast of environmental issues. She also uses her experience as a Guardian ad Litem in handling family law matters, including divorce, custody, support and DFACS issues. She has litigated over and drafted prenuptial agreements. Andrea has been named a Georgia Rising Star Super Lawyer for two consecutive years. She works on all aspects of litigation matters and routinely handles depositions, hearings and bench trials. 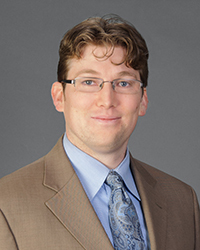 Prior to joining Schulten Ward & Turner, LLP, Zachary clerked for the Hon. Frank J. Jordan, Jr., Judge, Superior Court, Chattahoochee Circuit. His experience as a judicial clerk provided him with a first-hand knowledge of the judicial system, which he applies to his litigation practice in state and federal courts today. Prior to joining the firm in 2003, Dean was a partner in an Atlanta area general practice law firm, where he practiced for eight years. 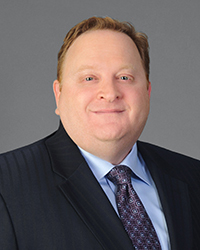 His practice areas include labor and employment disputes, regulatory matters, and general civil and business litigation. 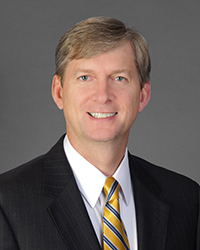 Dean practices before both state and federal trial and appellate courts, and he is licensed to practice law in Georgia, Florida and Massachusetts. Dean has also been certified and approved as an Arbitrator by the U.S. District Court for the Middle District of Georgia's Arbitration Program. 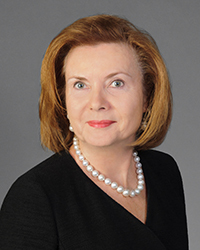 Ms. Stedry began her practice in 1986 with an Atlanta corporate and real estate practice law firm. In 1989, she formed the Law Offices of Maria F. Stedry, representing mostly foreign investors in U.S. commercial real estate. Ms. Stedry joined the firm in 2003 where she developed expertise in tax-credit and affordable housing development, use of historic and low-income housing tax credits, and governance of nonprofit organizations. In addition to these areas, her practice includes commercial transactions, real estate development, corporate governance, and secured lending. Ms. Stedry is fluent in French and Spanish. As an associate at Schulten Ward & Turner, LLP, Brandon practices in the areas of commercial real estate, business transactions, business organizations, tax planning, and civil tax controversies. His commercial real estate, commercial transactions, and business organizations practice gives him the opportunity to assist real estate developers and owners in all phases of the acquisition, development, lease, finance, and sale of all types of commercial properties. In representing these clients, Brandon provides the necessary guidance and advice to assist with the implementation and governance of the entity or entities chosen for each project/development. Additionally, Brandon's practice includes the representation of landlords, who he assists with the resolution of various conflicts and disputes that arise from their tenants. Brandon also represents commercial lenders and financial institutions in the foreclosure of residential and commercial properties. 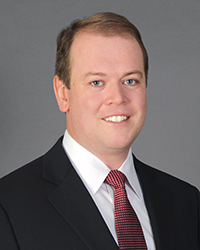 Brandon joined Schulten Ward & Turner, LLP after previously practicing at a large Atlanta law firm in its commercial real estate, tax, and corporate practice groups. Prior to practicing law, Brandon obtained his license to practice as a certified public accountant in the State of Georgia. He worked as a financial accountant/analyst for Coca-Cola Enterprises in its mergers and acquisitions department from September 1999 through July 2003 and as an auditor for Arthur Andersen, LLP in its Atlanta office from September 1997 through September 1999. Abby represents clients in labor and employment, commercial litigation, and other business matters. 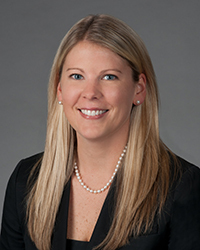 Prior to joining Schulten Ward & Turner, LLP, Abby served as a Staff Attorney for the Eleventh Circuit Court of Appeals. Clare became a litigation associate after completing a summer internship with the firm. She received her J.D., with Honors, from Emory University School of Law in 2013. During law school, Clare participated in Emory's Moot Court Society and was a finalist at the Jessup International Moot Court Competition, Southeast Regional Division. Clare was also recognized as a top oralist and brief writer at the competition. Upon graduation, Emory nominated her to receive membership in the Order of Barristers, a national honors society recognizing individuals for outstanding advocacy and service. Clare received her B.A. in political science from the University of Michigan, where she served as a coach for local high school debate teams. She is also an avid Michigan football fan. 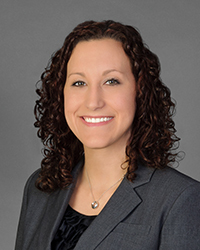 While graduating from law school in May of 2013, Jessica has been with Schulten Ward & Turner since May of 2012. 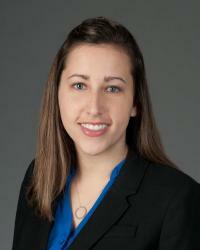 Jessica represents clients in commercial real estate deals and corporate transactions. 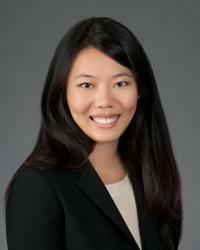 Her practice and experience includes drafting and negotiating documents for acquisitions, loans, and commercial leases. After working as a law clerk with Schulten Ward & Turner for two years while at Emory Law, Tyler joined the firm as a full time associate in October 2013. Tyler brings a dynamic passion for commercial litigation and transactional work to the firm, having earned a Certificate in Transactional Law and Skills as part of the Emory Law's Center for Transactional Law and Practice. His dedication to the law is only matched by his dedication to his community. Tyler currently serves as a volunteer for the Friends Junior Committee and often spends his nights volunteering at local children's hospitals in the Atlanta area.